The folk over a DS are reporting that Once Upon A Time, has been unceremoniously dumped by it’s UK broadcaster Channel 5. The quote they gave was “Channel 5 has not picked up the rights for the next series. At the moment we’re not intending to pick up the show”, which is not dissimilar to the quote we had from Sky Living when they dropped Teen Wolf… another US show yet to re-emerge on UK screens. No further information on why Channel 5 made the decision to drop Once Upon A Time. I can only assume the price they were asked to pay this time outweighed the audience it was pulling in. 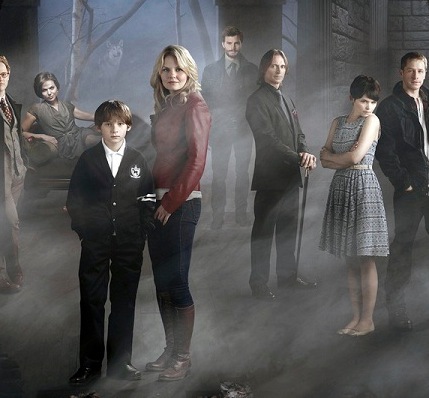 Part 1 of the 3rd season of Once Upon A Time has just finished airing on ABC in the US, with part 2 due in March 2014. Really enjoyed watching once upon a time and teen wolf will any other uk channel sky /pick them up?? I Think it’s a disgrace you get to watch a couple of seasons of a show then nothing uk tv stinks wish I was in America watching my favorite shows and to think we have to pay a tv license to watch rubbish good shows are here one minute gone the next!!! Cheap 5 and sky living you should be ashamed!!! The US shows even fewer imported shows per head than we do, and frequently cancel underperforming shows, just as British channels do. They are businesses after all. Still, you’d probably be ok in America- you’ve got the spelling down to a t.
I can’t see Teen Wolf being bought for the UK market now. Once upon a Time has possibly a better chance, particularly on the likes of Netflix or Lovefilm. And there’s always DVD. Season 2 was aired last year by Channel 5.